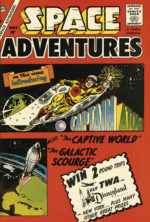 Awhile ago, several First Comics News reporters, myself among them, were asked to write articles, about the Charlton Comics group, while still other First Comics News reporters were asked to do interviews, with former writers and artists of the late Charlton Comics – a comic book company that began in 1944, and which lasted all the way through 1985! 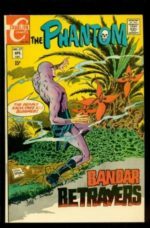 The title of the article I was originally asked to write was ‘The History of Charlton Comics.’ Honestly, I got eighty-one pages into it…and then, I stopped. To my mind, the title ‘The History of Charlton Comics’…was a book. Meaning, I’d have to write a book, to do that title justice. I don’t have time to write a book. Or: my editor and good friend Rik Offenberger is much, much better at time management, than I am. I freely admit this. Heck, Rik Offenberger has WRITTEN, and had published, a book. 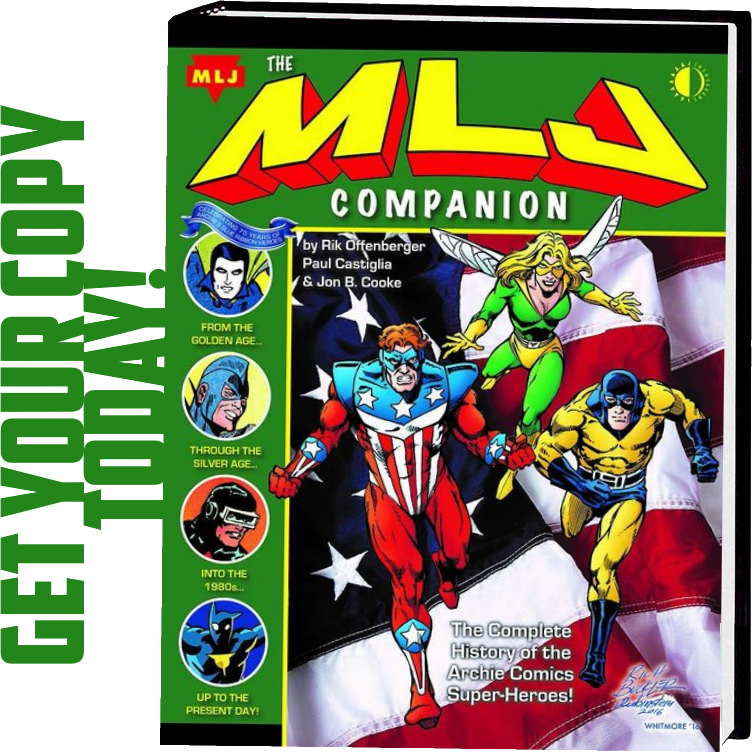 It’s called The MLJ Companion. It’s fascinating – I read it all the way through. Twice! But, therefore, because I’m me, and not him….I decided to completely switch gears, to turn around, and turf what I had written, and instead, write about (some) of the Charlton Comics aspects (and features, and titles, and quirks of that company), which had always, somehow, appealed to me, personally! Now that, I can get my head around! I’m not going to start at the very beginning of Charlton Comics, in this article. But I AM going to get back to the very beginnings of Charlton Comics, later on, in this article. Promise! 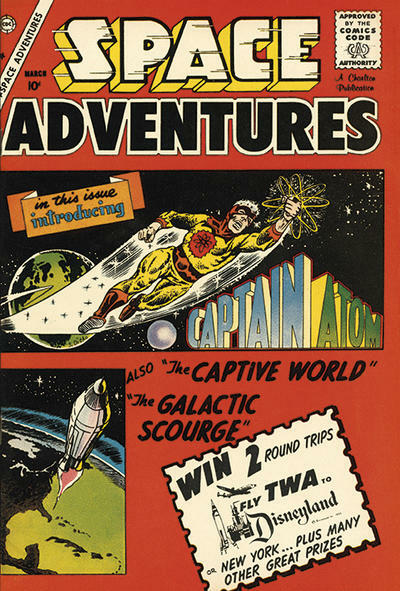 Firstly, though, I want to focus on some aspects (and titles) that Charlton put out, when I was a kid, that particularly appealed to me, personally! And then, later, I will swing back to……The Origins of Charlton Comics’-! 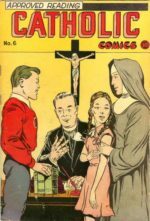 Now, the Origins of Charlton Comics is something that has been talked about before, mostly in comics trade magazines – which, let’s face it, as many people as DO buy and read those magazines – myself among them – the majority of comics’ readers, do not read those. Although, they should! And so, I’m going to educate many of you, on that. 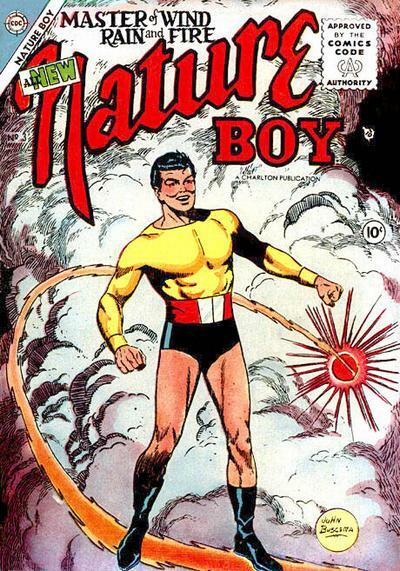 And hey – WHO was Charlton Comics’ first – ever superhero, that this company published? Think you know the answer? If you guessed either Nature Boy or Captain Atom, well….you’re wrong! But, by the time you finish reading this series of article, you’ll know all about him! Charlton Comics was a company which operated for several decades, out of the small town of Derby, Connecticut. 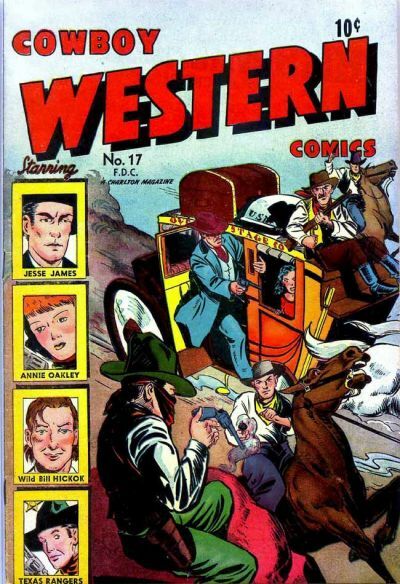 However, even prior to ever becoming a comic book publishing company, Charlton published numerous other types of magazines, both before, during, and even well after the decades, in which they published numerous comic book titles! I’ve always had a soft spot in my heart for Charlton Comics. At the very least, unlike some, I never, ever had a bias against them. Some did, and there were reasons for that. Some of those reasons could even be seen as being somewhat valid. And we’ll get to that, later on. As I’ve mentioned in probably more than one of my First Comics News interviews and articles in the past, (so I’ll only touch briefly on it, here) – my older brother James, eight years my senior, was into comic books, before I. This is more or less the ‘Origins’ of my very earliest, and later, life-long addiction to this unique form of combining writing and illustration, in order to tell – in many cases – a compelling story! 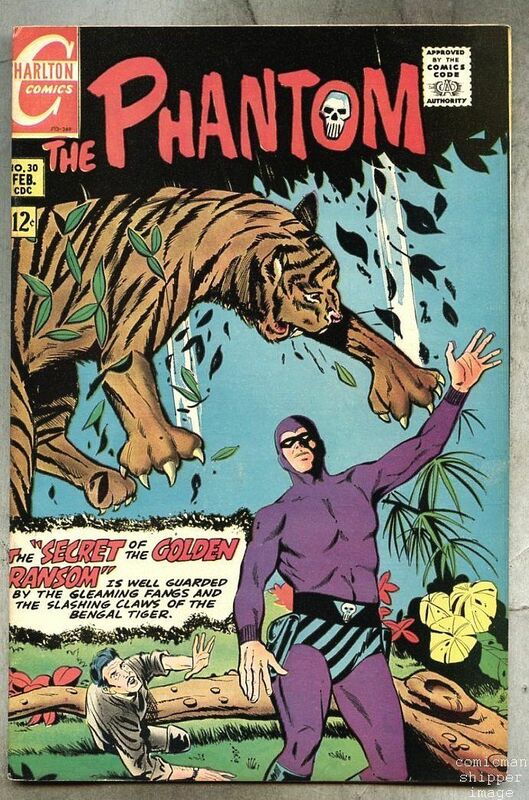 When I was no older than six years old, two of the earliest comics I ever bought, with my very own money, for myself, at that time, were a Silver Age (1960’s) Marvel Comics’ Fantastic Four issue, and at the same time (same purchase), a Charlton (Lee Falk’s) The Phantom comic. 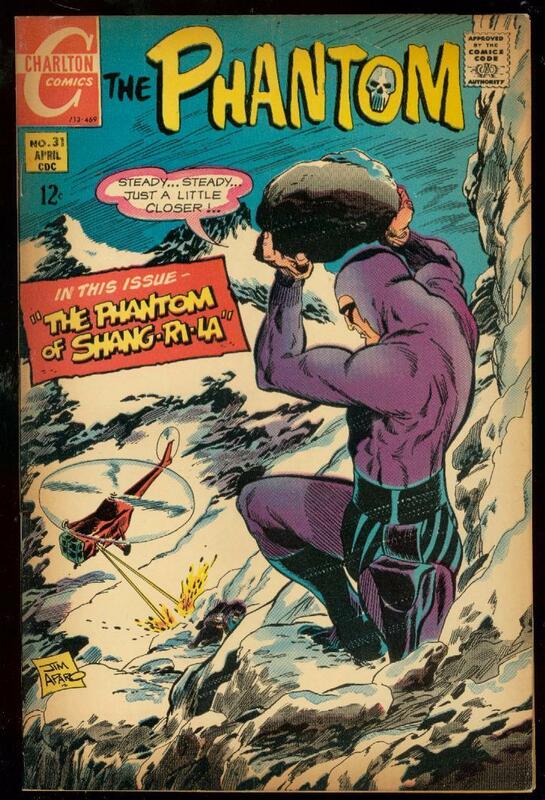 it was Charlton’s The Phantom # 37, dated inside as April, 1970 issue. 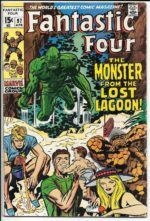 Its’ title was ‘Bandar Betrayers.’ While The FF issue, purchased at the same time, was Fanatastic Four # 97, also dated inside as April, 1970. 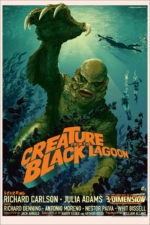 The original film, ‘The Creature From The Black Lagoon’ (1954), later spawned (interesting choice of words there, yes-? ), not one, but TWO, still, today, mostly-unknown-to-exist (by most fans of the original, first Cult Classic Original Film), two later film SEQUELS. The first of these two sequels was entitled ‘Revenge of The Creature’ (featuring an extended appearance of the youngest you have ever seen appearance of Clint Eastwood, in his very first film) – well before even his early appearances on the eight season western television series, ‘Rawhide’-! 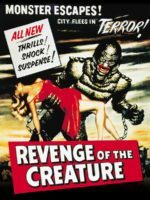 ‘Revenge of The Creature’, the second film in the series, came out in 1955. 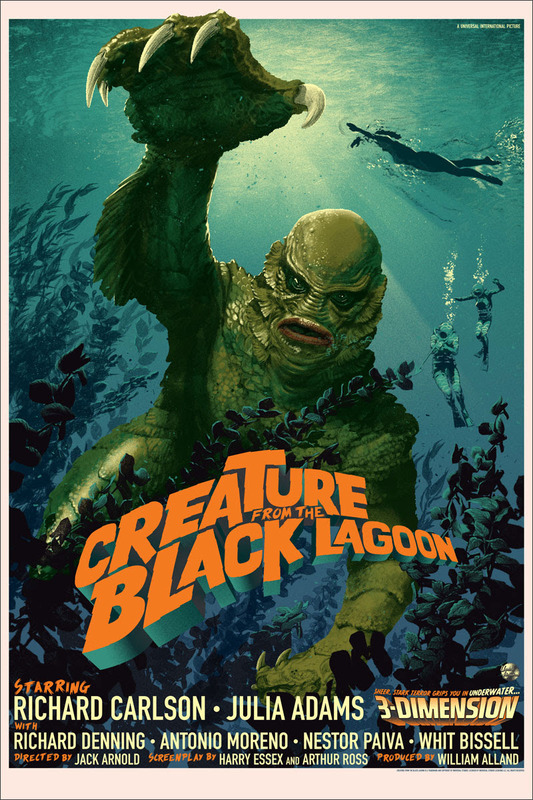 And the third and final entry of this film trilogy was entitled ‘The Creature Walks Among Us’; this one which premiered in 1956. You can view, if interested, all three of these, on You Tube, online. I did! 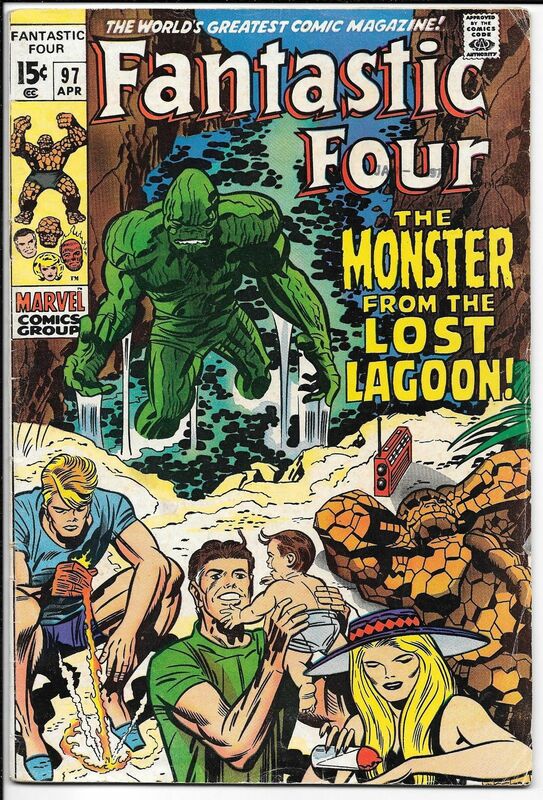 The Marvel Comics’ ‘Monster From The Lost Lagoon’ story from Fantastic Four # 91, dated April, 1970 (inspired by these three films), reappeared two more times, in Fantastic Four issues # 98, and 105. 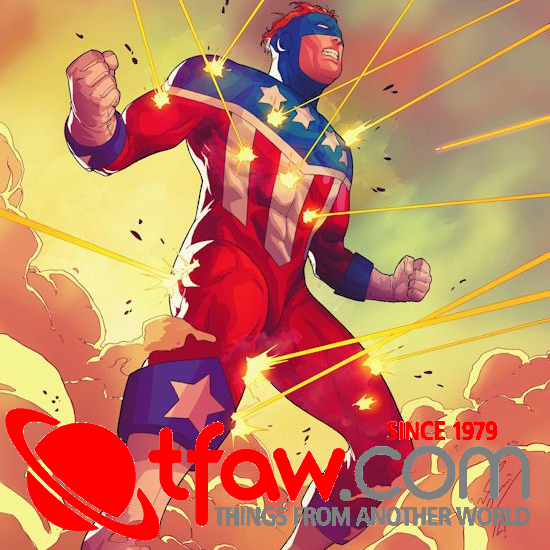 None of which has anything, (of course), to do with Charlton Comics – but hey, get me started on a topic, and I’ve just got to relate it all the way, from comics to film! That’s just who I am! And besides, it’s also entirely possible that you just learned something new. So now, let’s at least go back to a Charlton Comics topic. Okay? Okay! Well, honestly, I was far too young, at that time, to respond with something like, “Have you lost your mind, big brother? It’s got JIM APART art, that’s why! !” You see, it probably never occurs to most six year olds that people actually first wrote, then illustrated, then lettered, then coloured, and finally published and distributed these ‘furshlugginer’ things! However, based on my older (and thus wiser) big brother’s query, at the time, (and no, I was unfamiliar with the word ‘query’, at age six) – I honestly think that was my very first mental image of the idea – that many comics readers back then, viewed any comics published by Charlton Comics, as somehow….inferior, to many other comic book companies’ wares. Especially as compared to those titles published by ‘THE BIG TWO’ — Marvel (and) DC Comics! 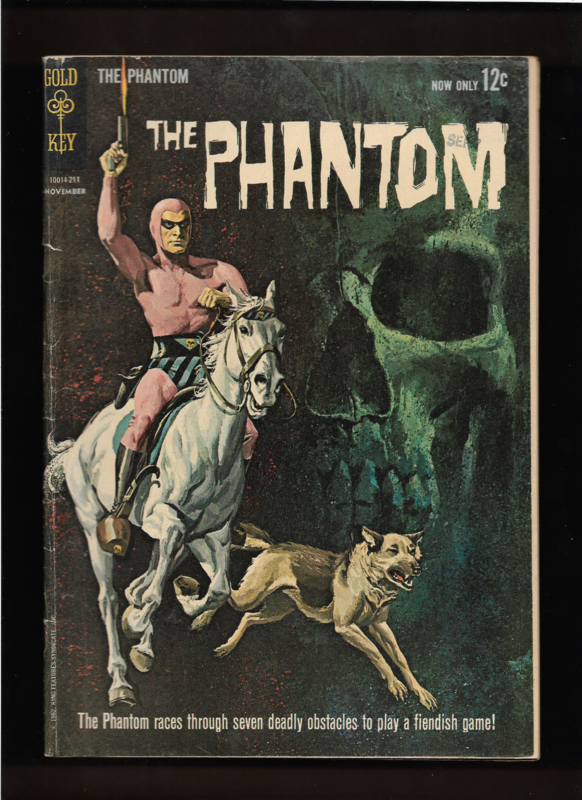 Although, years earlier, my older brother James had previously, himself, purchased – and, at that time, still owned, some of the older painted covers, much earlier issues of the Lee Falk’s The Phantom issues from Gold Key/-Western Publications. Those issues included issue #s seven, eleven, and fourteen. The interiors were illustrated by Bill Lignante, whose artistic chops were just fine! 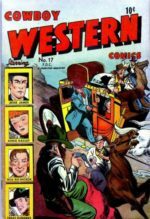 When I was much older, I went back, and bought and collected the whole Gold Key/-Western Publishing, King Comics, and Charlton Comics runs! 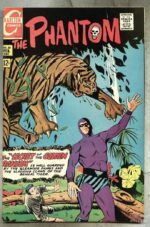 ‘King Comics’ (named after ‘King Features Syndicate, Inc.’) – the second company, the owner of numerous syndicated daily and Sunday newspaper comic strips, of which Lee Falk’s ‘The Phantom’ was (also) one, (since February of 1936, in fact), took up the numbering from Gold Key/-Western Publishing’s ‘The Phantom’ comic book title, and they began publishing this title with # 18, dated inside as Sept., 1966, through # 28, Dec., 1967. In this first King Comics issue of The Phantom, Wally Wood did the art chores in the back-up Flash Gordon story, in this issue! Hey, that’s worth the price of admission, right there!!! 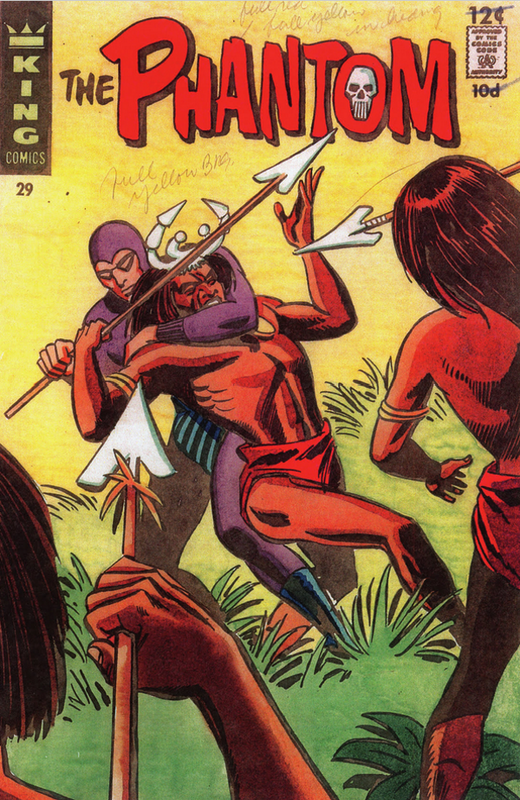 King Comics also picked up, and began publishing various other (formerly Gold Key) comics titles, including (also, Lee Falk’s, Mandrake The Magician), Jungle Jim, and other titles! 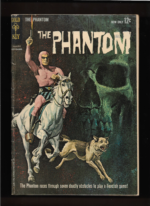 Whereas the Gold Key/-Western Publishing’s The Phantom seventeen issues of the title all bore gorgeous cover paintings of The Phantom, in action, (as did the completely unique fifteen different Avon (paperback book publishing company’s ‘The Phantom’ prose/-text novels, that came out in the 1970’s) – I’ve got most of those, too. 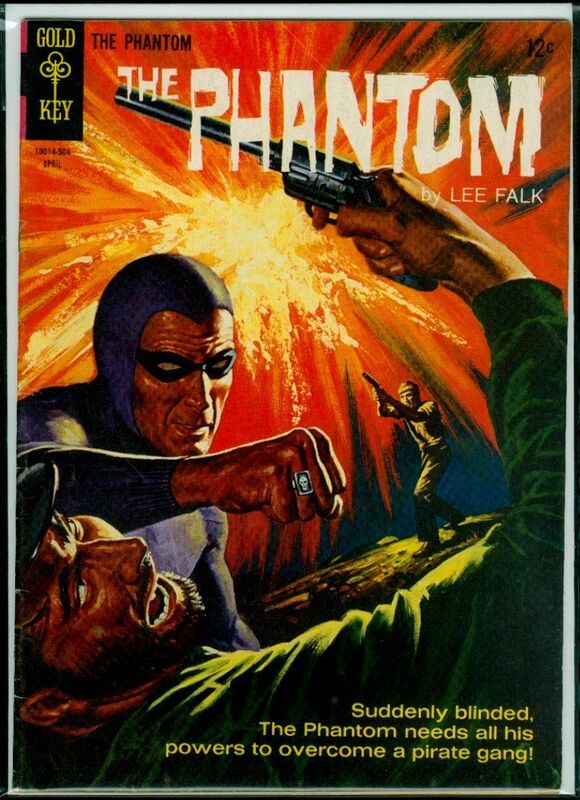 And by the way, there were 15 (fifteen) different early to mid 1970’s Lee Falk’s The Phantom text/-prose novels. 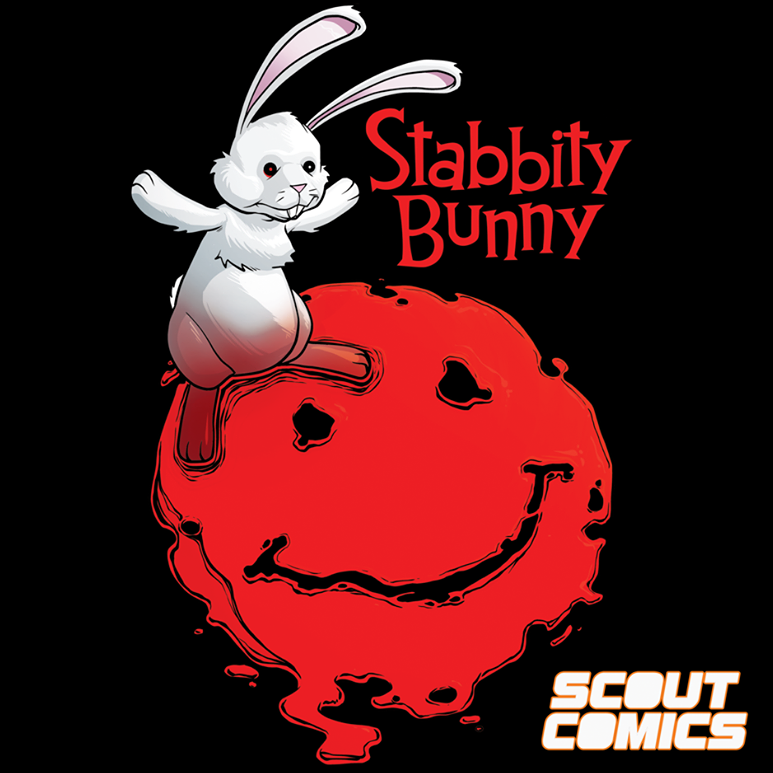 They are in the process of being reprinted right now, for the first time, ever! Some of them are out, already! 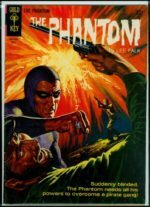 The reprint company is Hermes Press, which, previously, in the last couple of years or so, has put out a few The Phantom comics mini series, with top rate artists! 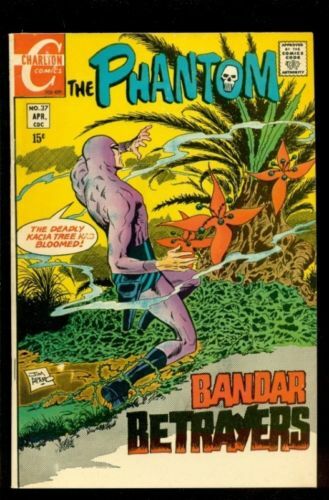 And, UNLIKE those 1970’s The Phantom prose novels, the King Comics’ Phantom Comics, (issues # 18 through # 28), all had line-drawn (pen and ink) illustrated covers. Although some of them were really quite nice! 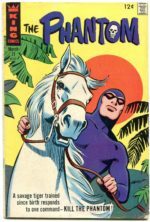 There are a few long-standing MYTHS about the late Charlton Comics Group, that have stood the test of time, for over fifty solid years. And, despite the prevalence of these myths among Charlton fans, collectors, and others, I can think of at least TWO Charlton Comics myths, both of which are….completely false! The second myth I’ll be getting to a bit later, in this article. 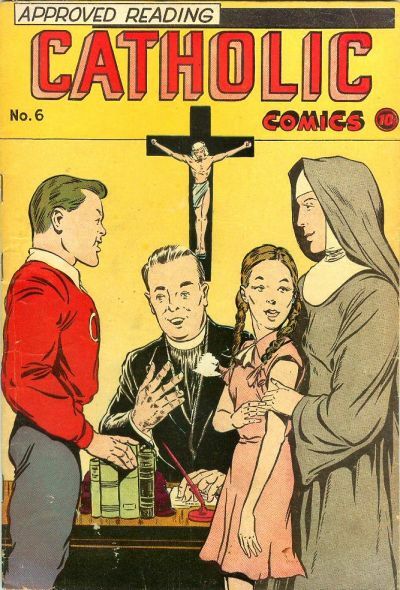 Whereas, the first of these Charlton Comics myths, it’s high time I dispelled that one, right now. 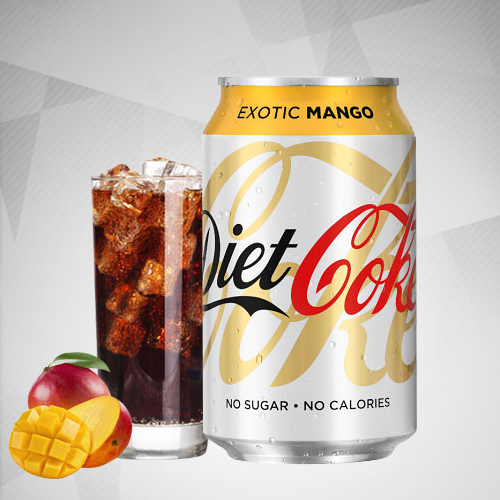 And that is…..! 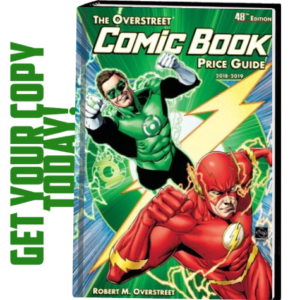 As kind-of hinted at, above, there’s been a ‘vicious rumour’ (though no one got hurt), that’s been continually perpetuated by no less a source than (Bob) Overstreet’s annual ‘The Comic Book Price Guide’ comics’ values book, in both softcover and hardcover editions, for decades. 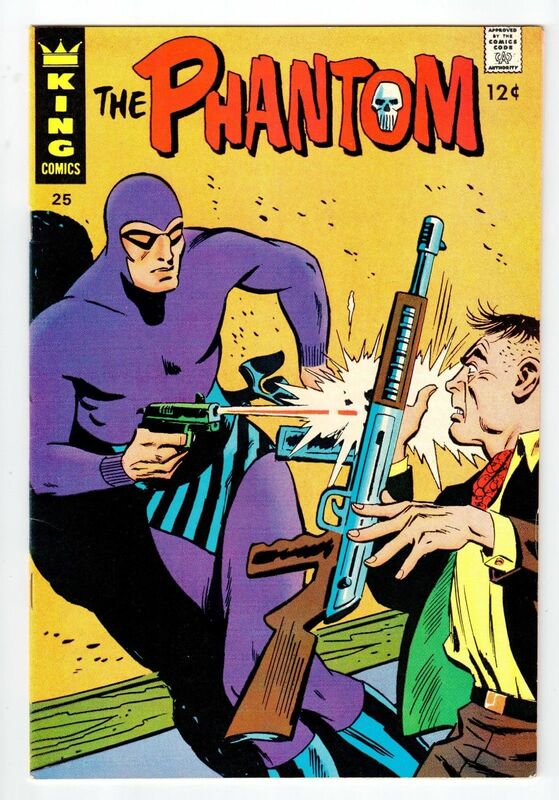 This (factoid), is that The Phantom # 29 (Silver Age issue), was ONLY ever – published (or only ever distributed to….Europe.) And this factoid is bullsh — umm, not true! Many collectors, the world over, believe this to be true. And many of those people, innocently believing this bit of nonsense to be TRUE, keep continually perpetuating this piece of fluff. And so, this bit of ‘horse pucky’ means that hundreds of thousands of Charlton (and) The Phantom collectors, keep this completely non-existent Silver Age issue ‘The Phantom’,on their Want Lists. Ask yourself these two questions: WHY would either King Comics (or) Charlton Comics, both publishers having been in the U.S.A., prior to, much later on, going out of business, publish a comic book issue (eg: The Phantom # 29), and then, MINIMIZE their profits for that issue, by, very oddly, ONLY distributing the issue…to Europe? It makes zero sense. 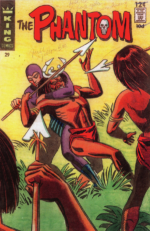 Secondly, why has not a single person EVER turned up a single copy of either a King Comics (or) a Charlton Comics # 29 issue, ever, over the past fifty years??? Do you really think that ALL of them who DID manage to locate and purchase a copy of The Phantom # 29 – such a RARE and much sought-after comic book ‘Hot Potato’…..would keep their find a complete secret from the fan press, for over fifty years? 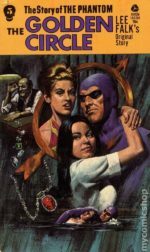 Continue to The Charlton Comic Mystique part two: Charlton Comics, and….The Mafia-!